Washington, DC police found DNA on the crust of a Domino’s pizza delivered to a mansion where hostages were held, gaining enough information from it to issue an arrest warrant for a quadruple homicide suspect, the Washington Post reported. The warrant was issued for welder Daron Dylon Wint, 34, from Maryland. He is suspected of slaying wealthy construction executive Savvas Savopoulos, 46; along with his wife, Amy, 47; their 10-year-old son, Philip; and their housekeeper, Veralicia Figueroa, 57, in their Washington mansion last week. Police do not know Wint’s whereabouts, but officials believe he may be in New York City. His girlfriend lives in Brooklyn. DC Police Chief Cathy Lanier said “just about every law enforcement officer across the country” is on the lookout for Wint, who is a former Marine. “Right now it does not appear that this was a random crime,” Lainer told reporters, although she did not discuss possible motives and would not describe any evidence. Law enforcement officials, who spoke to the Washington Post on the condition of anonymity, said detectives think the family and housekeeper had been held overnight in the home, and that at one point they may have been bound. Police have said little about how they were killed, other than that three had wounds consistent with blunt force or a sharp object. Authorities also have said the mansion was set on fire. 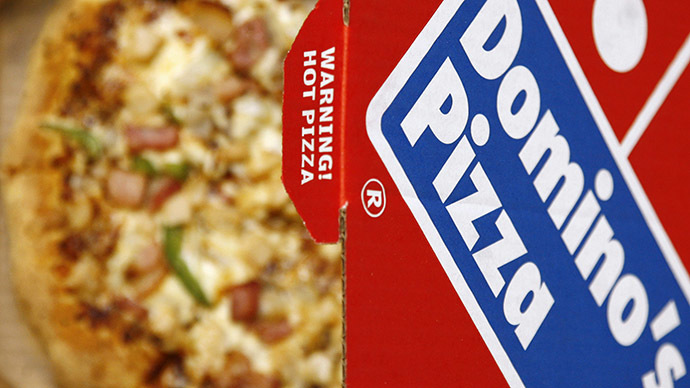 During the family’s final hours, someone called a Domino’s Pizza, just two miles from their house, and ordered pizza on May 13th. Another housekeeper told the Associated Press she thought the family and their housekeeper had been held captive for nearly a day before they were killed. The Washington Post reported that Savopoulos’ personal assistant dropped off a package containing $40,000 in cash at the home on the morning of May 14, after a flurry of phone calls between Savopoulos, a bank, an accountant, the personal assistant, and his company, American Iron Works. Savopoulous’ two teenage daughters were away at boarding school at the time of the killings. The mansion was set on fire at 1:30 pm. When firefighters arrived, they found four bodies with evidence of being killed before the fire started. The cash was gone and so was Savopoulous’ blue Porsche, which was later found set on fire in a parking lot in New Carrollton, Maryland. The home is in an affluent DC neighborhood near Washington’s National Cathedral and Vice President Joe Biden’s official residence.